My mixture of revulsion and awe was so extreme and caught me so off-guard that I had to get to the bottom of it. One should never let such an extreme visceral reaction go unanalyzed. J What I realized was this: I don’t hate sin like God hates sin. Jonathan Edwards did. Jonathan Edwards understood (as much as I think a man can) what sin does to us and to those around us, and it was his reviling of sin that led him to take such an extreme position on purity (hence, “the Puritans”). Translation: Sin is an all-consuming, all-devouring, and all-destructive force. The heart of man is boundless in its propensity for sin. If left unrestrained, it will destroy everyone and everything in its path and make us more miserable than we can ever begin to imagine. We as humans are like a pendulum that swings back and forth, overemphasizing different aspects of God – like law and grace. Analogy: it’s possible that – though we all have the same Bible – certain people overemphasize certain parts. While we might criticize each other for not being balanced enough, it is possible that there might be a role in the grand scheme of things. There might be a role that we play by overemphasizing different aspects of scripture that only makes sense in the grand tapestry of time. 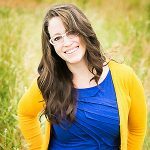 How is this important for apologetics for kids? 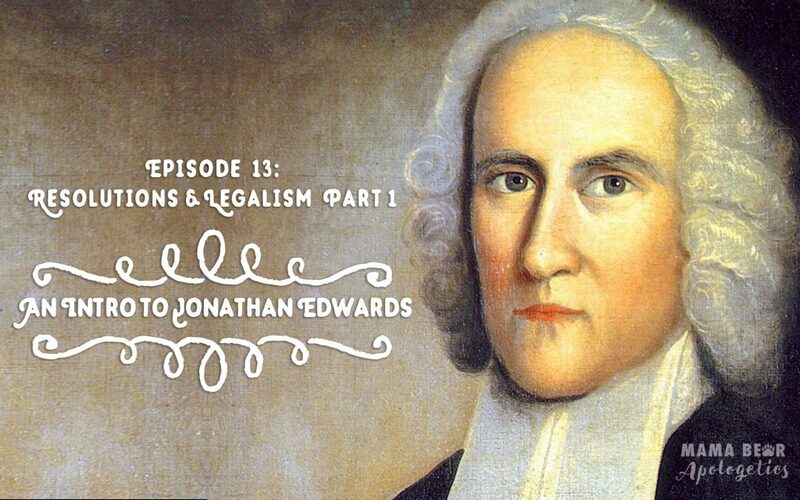 1) Jonathan Edwards is a great example of chew and spit, and how there is good and bad to most everything. We need to sift through it all to find what is scriptural and what is Biblical and what is not. Very few things are all good or all bad. 2) There is an aspect to “legalism” that is not really legalism, but a healthy developmental stage. We cannot assume that being an avid rule follower is always bad. Children – go through concrete, black and white thinking with no grey areas. Artists – you have to learn the rules of art, or writing, or music before you can start breaking the rules. Ballet dancers have to learn to dance before they learn to choreograph. When you see people going through a hyper legalistic phase, look at where they came from. It is possibly a phase and they will grow past it if they are truly pursuing Christ. We have no room to judge people going through the same developmental steps we went through. It’s good to write out our goals. America was a baby country who had just founded freedom of religion. When you have always been told what to do and when you suddenly have total freedom, you go hog wild. Jonathan Edwards was writing in response to a country gone hog wild, and people were responding to it, because they probably needed structure. He is NOT Jonathan Edward, the contemporary psychic medium who hosted “Crossing Over with Jonathan Edward”. Legalism – We threw this word around a lot and didn’t define it, so I actually wrote an entire blog post to help give more background. Classically, it is understood to be an unhealthy spiritual practice where one thinks they can earn salvation through works. (i.e. see Jesus’s rant against the Pharisees in Matthew 23) Contemporary usage: any person who is overly focused on rules. Natural Philosophy – early word for “science.” We would call someone like Sir Isaac Newton a scientist, but back in the day, he was known as a “Natural Philosopher”. Naval gazing – being overly introspective to the level of absurdity. Constantly thinking about your thoughts and feelings and overanalyzing your entire human existence. God’s love does not make sense apart from God’s wrath.